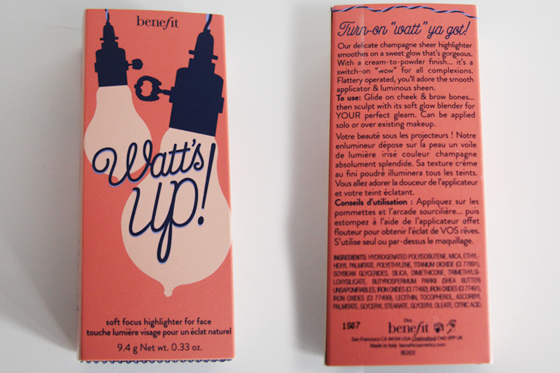 Benefit Watt's up Highlighter is one of the best highlighters I tried so far. I do still love my MAC Lightscape highlighter. This gives the face such a nice warm glow, in any lighting. The colour is very nice, as many bloggers describe this as "champagne" colour, I must agree. This highlighter is great to use during the day, as it's not very heavy looking and it's shimmery, but there is no glitter. The packaging is really nice. 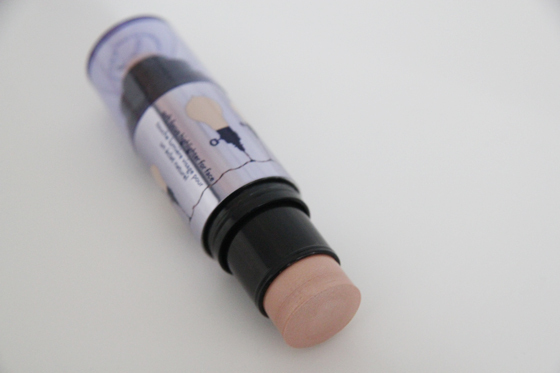 The sponge on the other side is a bit useless, as I feel like it's smudges of my foundation and the highlighter. Fingers are so much better, I personally don't like to apply it with an brush. It's very blendable, as the formula is creamy. I also have notice that quite a lot of people compare this to Nars Multiple sticks and apparently this is a lot better. I can't really compare these, as I don't own any Nars Multiple sticks. Maybe one day. Really worth giving this a try, you will love it. Only thing that put me off is the price tag! I got mine via buyapowa with a discount. It's sometimes still pop on the site, so you have to look on it regularly. Have you got any highlighters to recommend for me? I think highlighter is probably the one make-up product I can't get along with, and I don't know why.. It always looks horrible on my skin, and shows up my pores! It's got adorable packaging, just like all of Benefit! But I find it gets so messy and all rubs off, not really what you want when your spending a small fortune! I've been eyeing this for a while. I enjoy creamy highlighters but I agree that the price tag makes me continue questioning whether I realllyyy need it or not. Thanks for this review! I'm sure I'll find more goodies to buy from them! Watts Up is a co-op buy coming soon again, might have to get it! haha i love this name so cute!! YOu are from London? 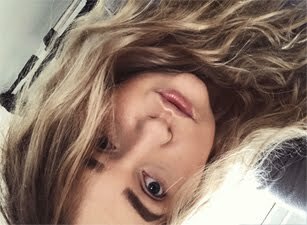 I hardly knwo any british fashion bloggers - are there any big ones?